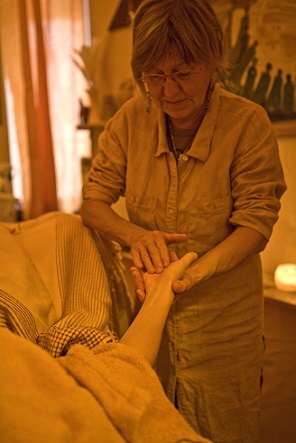 after Hanne Marquardt – treating the whole person via the feet. 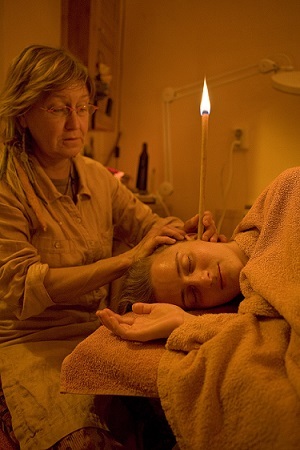 Exclusively with handmade Hungarian ear candles, that have been proven to be particularly effective in the treatments. A very pleasant and relaxing treatment. Beneficial support for sinus, ears, migraine, tinitus. The head and the neck area will be addressed gently and rhythmically with Weleda arnica oil. By setting up and striking various singing bowls on the body, we slide into a trance-like deep relaxation. Blockades and patterns can be dissolved. All treatments are available as a personalized gift certificate!